We depart the heliport in a Northwest direction passing over the fishing village of Rhyll, then onto Cowes over the jetty and beach at this very popular holiday destination. Upon reaching Cowes we set our sights for the Mornington Peninsula! 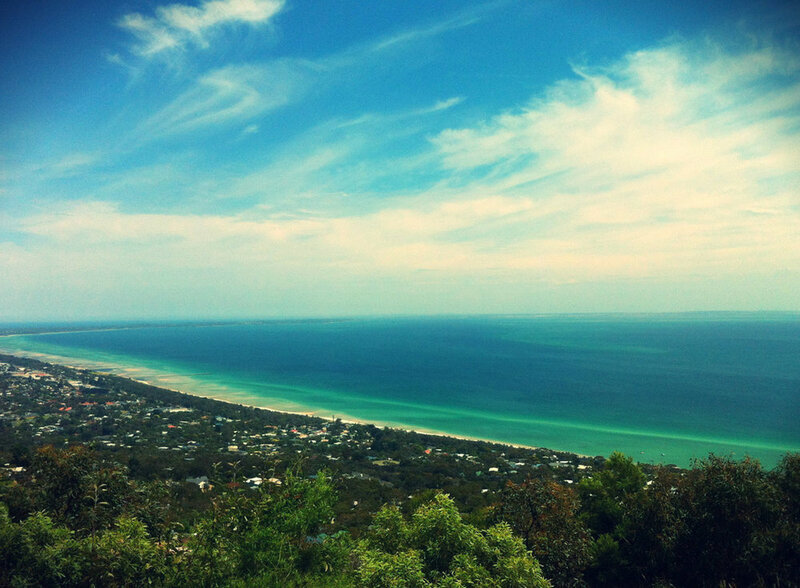 On the trip towards the popular coastline you will take in views of Red Hill and its famous winery region.. Arthurs Seat with the not so famous Chairlift then Port Phillip Bay. With the bay directly out the front window we turn towards the south and head for the township of Sorrento passing some of the popular seaside towns such as Dromana, Rosebud and Rye. We continue south passing over the Sorrento surf beach then follow the coast around towards Cape Schank. On our way back to the heliport, we follow Phillip Island’s south coast passing Seal Rocks, Summerland Bay and the Penguin Parade, Pyramid Rock and the Grand Prix Circuit.